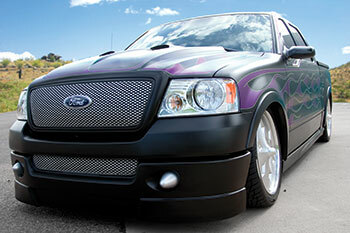 Christopher Traylor, Director of Engineering at Kipper Tool by day, custom show car afficienado by night and weekends! 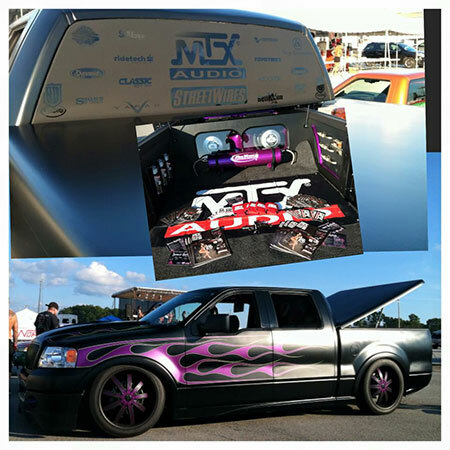 Chris owns the incredible James Hetfield 2004 F-150 showcasing a gorgeous MTX Audio system at most NOPI Nationals Motorsports Supershows around the U.S. 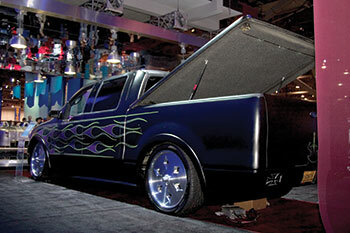 In 2004, Rick Dore Kustoms worked with MTX Audio to produce an incredible rework of a new F150 Ford for famous, screaming lead singer, James Hetfield of the thrash metal rock band Metallica. 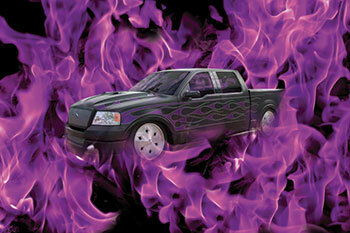 Of course the sound had to be equal to the man and The Hetfield Truck was born. Now, Chris keeps the classic Hetfield 2004 F-150 truck even more bitchin' with the latest MTX Audio gear installed to keep the sound loud and rockin' hot. 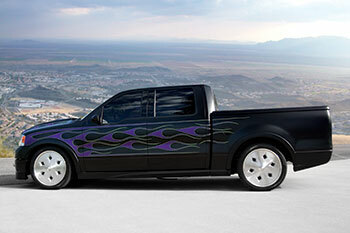 You can see Chris and The Hetfield F-150 at most of the NOPI National shows. Drop by and say hello! For over 20 years James Hetfield has been rocking the world together with his band Metallica. 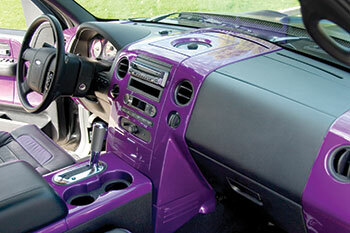 Now James wanted an audio system in his Ford F150 truck that echoes his passion and volume with a customized cutting edge look like his music. Rick Dore of Rick Dore Kustoms together with MTX Audio created a mobile audio install that met the astronamical expectations of this heavy metal rocker. 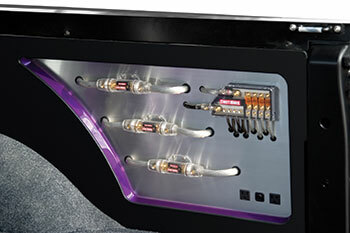 A special bandpass enclosure was designed housing 2x 15" Thunder9500 Superwoofers, the port of this enclosure was created by cutting a hole through the cabin of the pick-up. MTX Thunder942 amps were installed to drive these subs. 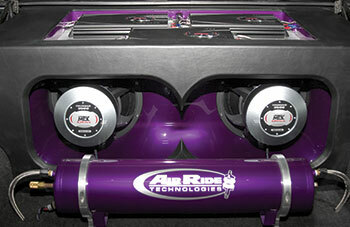 MTX prototype AXE 6" seperates were used in each door and as centerchannel to build a complete 5.1 system. A MTX Thunder1004 was used to drive the seperates. Streetwires ZN6 RCA and Ultra Flow power and ground wire were use to wire the complete system.